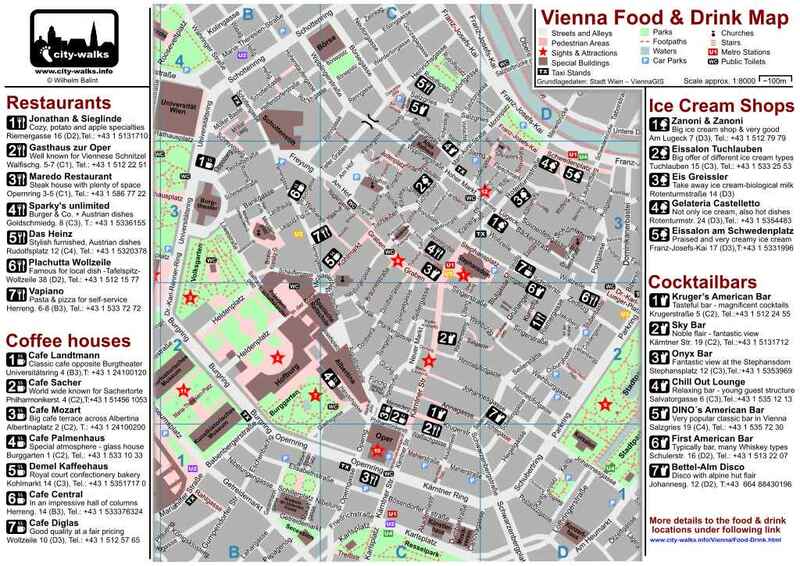 With this city map you can easily find the best restaurants in the center of Vienna. 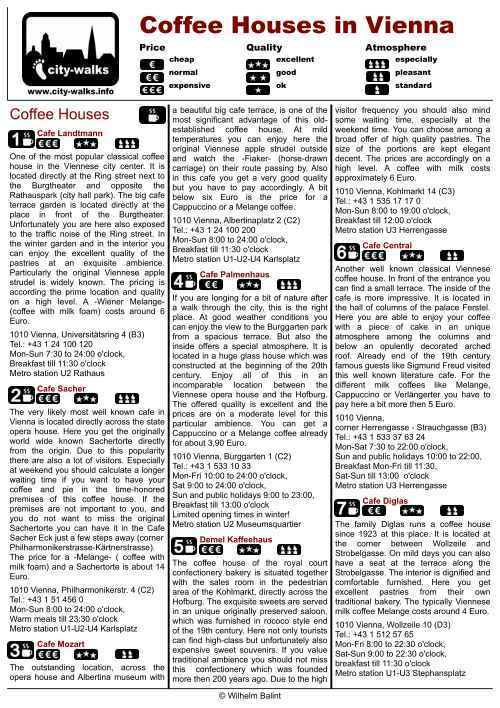 But not only restaurants also cafes, bars and ice cream shops are marked at the map. For each recommendation you can find also a short information and the address with telephone number. Behind the name of the street/alley you can find in brackets the coordinates for the position at the map, so that it is easy to orientate. 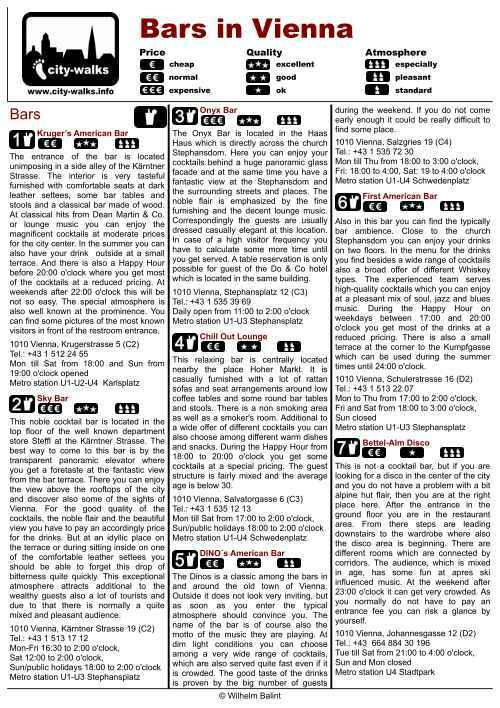 The city map with the food & drink recommendations is a PDF file in A4 format. Due to that it is very easy to print it and perfect for take along when you are walking through the city. Please click on the picture of the wanted PDF file to open it! 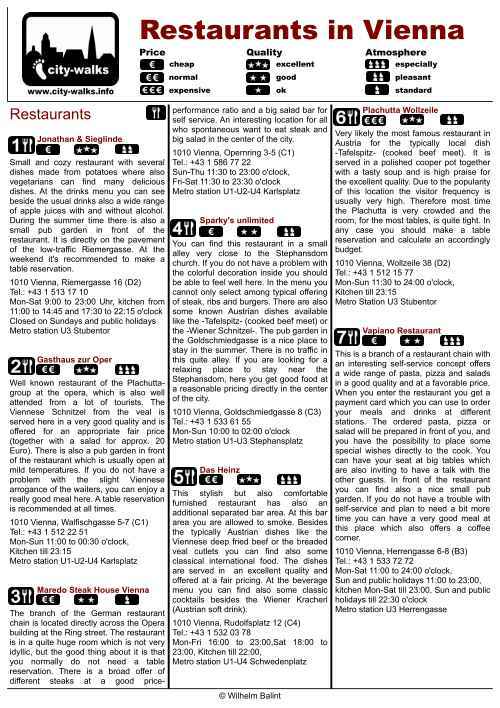 You can have the detailed information to the selected restaurants, cafes, bars and ice cream shops online as well as download the PDF file for offline use. 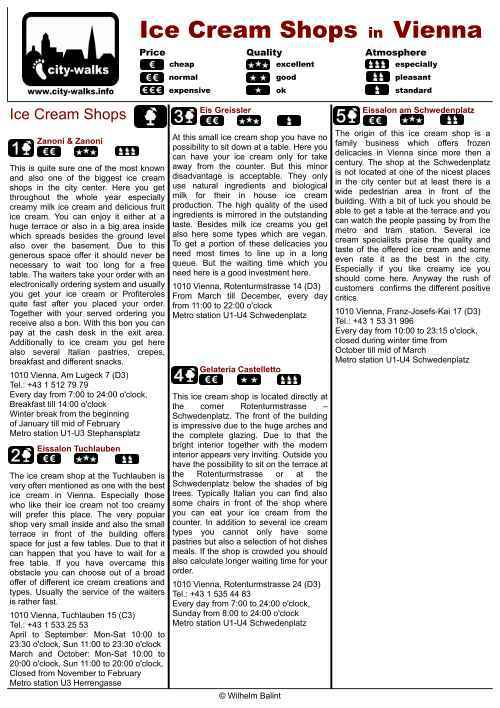 There you can find the opening hours, Metro station and a description to the recommendations. To open the particular document, click at one of the pictures below.